To the great shock of Jalopnik’s staff, there are more than 368,000 Mitsubishis from recent model years in America. We know because that’s how many have been recalled for major issues recently, which is a unique way to get the word out. Oh, and, by the way, your Lancer’s sunroof could fly off at any moment. After recalling 140,000 Lancers and Outlanders for the potential to stall last week, the U.S. National Highway Traffic Safety Administration added about 227,000 more vehicles to that count. There are two problems this time around: For some Mitsubishi owners, crucial parts of the parking brake could corrode and render it useless, and for others, their sunroof glass could just fly off. That sounds like a Final Destination plot with endless possibilities in the making. The parking-brake recall affects more than 170,000 Outlanders from 2014 to 2016 and Outlander Sports from 2013 to 2016, according to the NHTSA. Water could corrode or bind together the parking-brake actuator shaft, which could make the brake unable to engage or disengage fully. That’s bad news if you park your trusty Outlander on an incline. On nearly 57,000 other Mitsubishis, the NHTSA said the sunroof glass could sail off and become “a road hazard to other vehicles.” Sounds like it! The materials binding the glass to the sunroof assembly can weaken with changes in humidity and temperature, possibly causing them to detach completely. 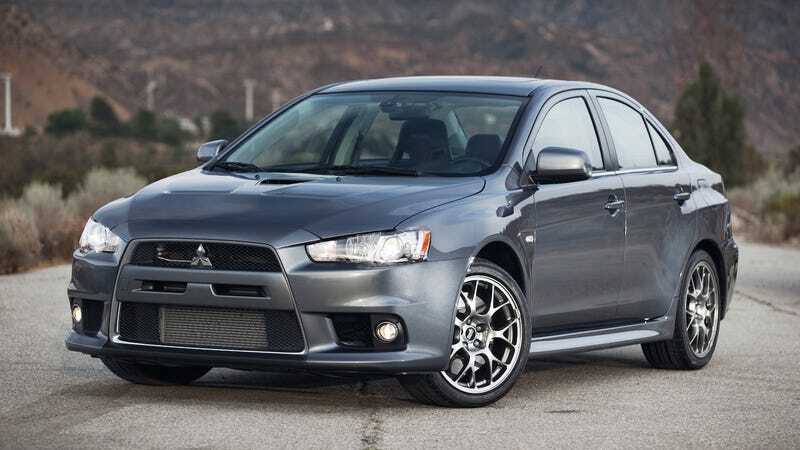 According to the recall, the 2008 to 2010 Lancer, 2009 to 2010 Lancer Evolution, 2010 Lancer Sportback and 2007 to 2010 Outlander are affected. Maybe don’t say that out loud for a few months, actually. You never know when karma could fly your way in the form of detached sunroof glass.